Most of the parents rely on the advice that is passed on by their parents and grandparents. Parents were interviewed in terms of using strategies to prevent colds. In a poll it was found that the parents used strategies with did not have any scientific evidence. However, it was also found that some of the parents used methods that were backed by science like teaching to wash their hands and personal hygiene. Here are a few myths that parents still believe in terms of preventing cold in children. 1. Going outside with wet hair – The fact is that going outside with wet hair does not make you sick. 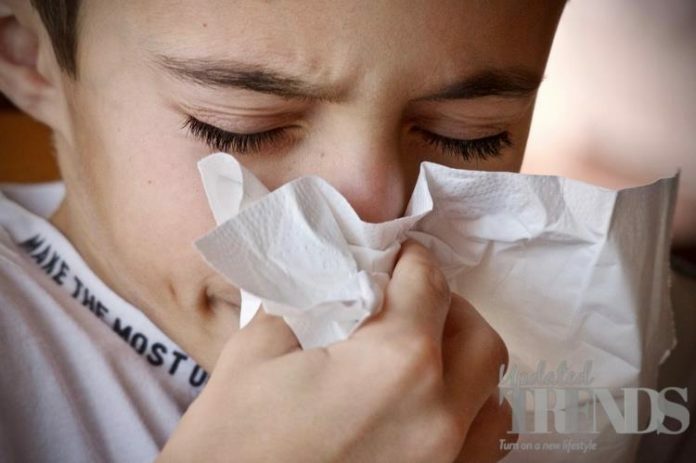 Medical practitioners have explained that in order to catch cold they need to be exposed to an infectious agent. But still wet hair can make the person chilly but it does not attract to infectious agents that are responsible to common cold. 2. Exposure to cold air can lead to the condition – The fact is that during winters, the weather turns cold and everyone runs indoors where the air is recycled. We are often in closed places which also has other people with viruses and end up sneezing on top of each other. On the other hand cold air outside can be good though it can make you chilly. It can be said that the cold air outside can be much better than being indoors where there are a number of viruses waiting make you a victim. 3. Usage of multi-vitamins can prevent the condition – If the children are eating healthy and are having a balanced diet then additional supplements are not needed. Multi-vitamin supplements have never shown to have any effect on the prevention which means that the parents can now save money. People do remember the time when multi-vitamins worked but have never remembered the times when they have not worked.